Are you a bit down? Or perhaps on top of the world? 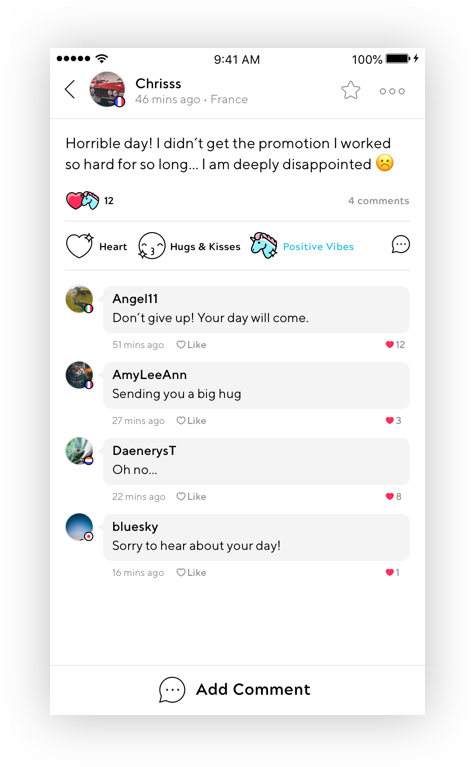 Share it on Heartn! 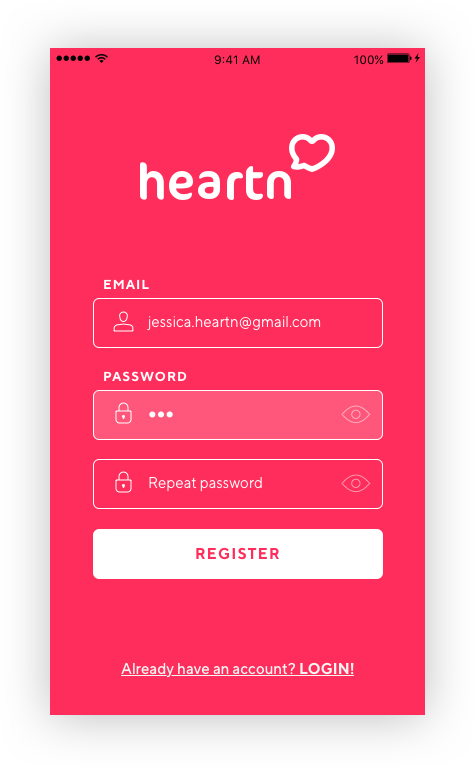 Heartn is an anonymous social media app that provides a safe, friendly and supportive environment to express your daily thoughts and feelings freely. 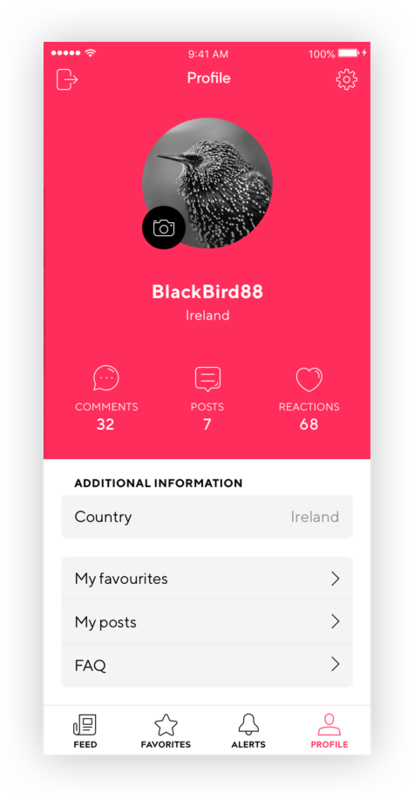 No need to give away your identity – just pick a username and share anything you’d like completely anonymously. 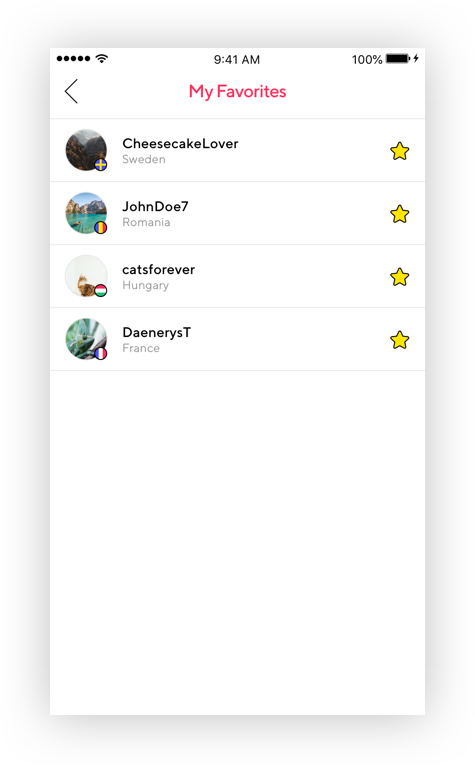 Receive loads of friendly comments from people all over the world. No bullies or BS here. Seriously. No cringeworthy selfies. No breakfast photos. No videos of dancing cats and super cute koalas. Just honest posts about life’s ups and downs. Thanks to the pre-written comments, there is no chance of getting anything nasty or judgemental back. Ever. 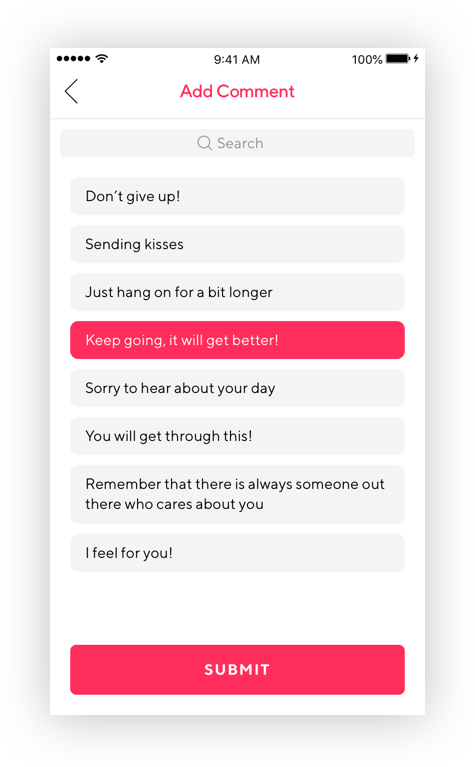 pre-written messages, which makes commenting super easy and super fun! Sign up using your email – no other details needed! 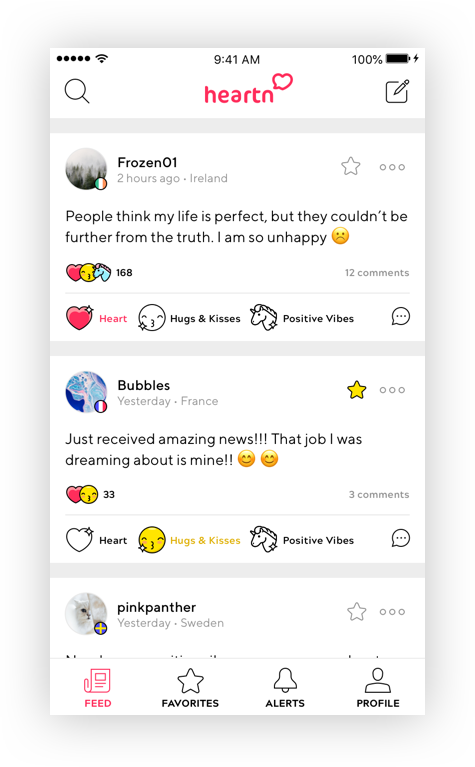 Post and read anonymous confessions by people all around the world. …and follow their stories to see how they unfold. Copyright © 2018 Heartn. All rights reserved. Take part in our awesome prize draw to win £100 cash, a £50 Amazon voucher, gift cards and jewellery!